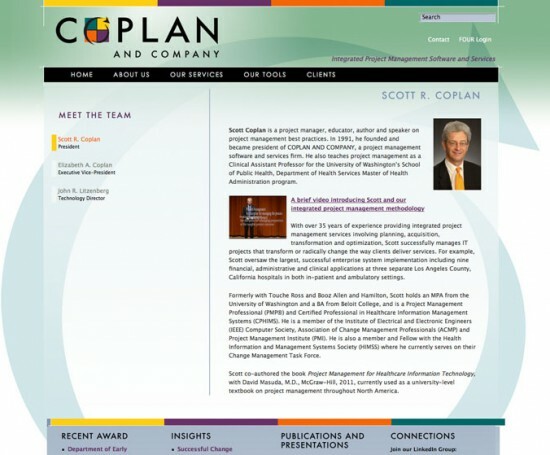 Coplan and Company combines Project Management, IT Management and Change Management to help justice, health care and social services organizations improve the services they provide. 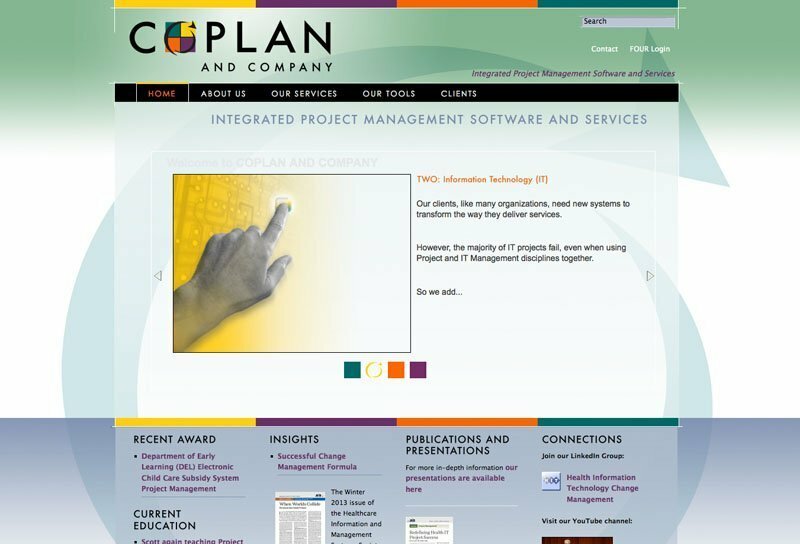 Use existing logo colors and graphics to design and build a vibrant, colorful and professional site. 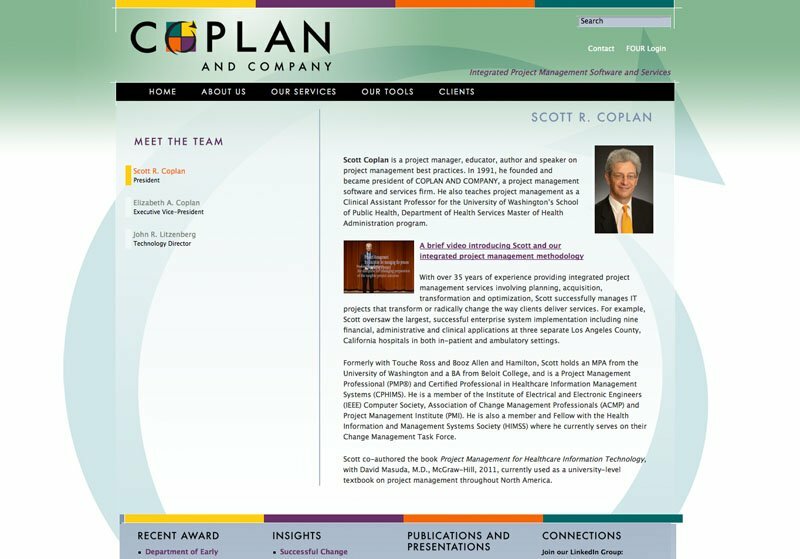 It would showcase Coplan’s expertise and experience while delineating the four ribbed process and method. It would be easily maintained. Designed a rich environment utilizing graphic elements and colors from their identity. Organized a simple main menu with on-page secondary menus. Kept all the pages short with extensive footer areas for current information. 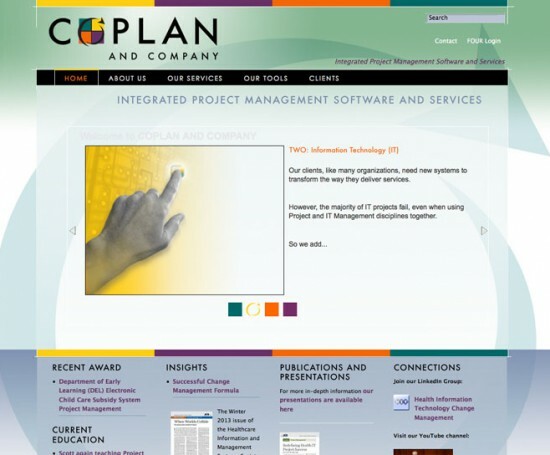 And designed and illustrated a home page slider that would step through the method/process.